Perhaps Haruki Murakami’s greatest strength is his familiarity. With each new novel he transports his readers through the the same mirror into a realm of gentle magical realism, to parallel worlds that exist in the soft places between reality and wherever it is that Murakami’s dreams crystallize. 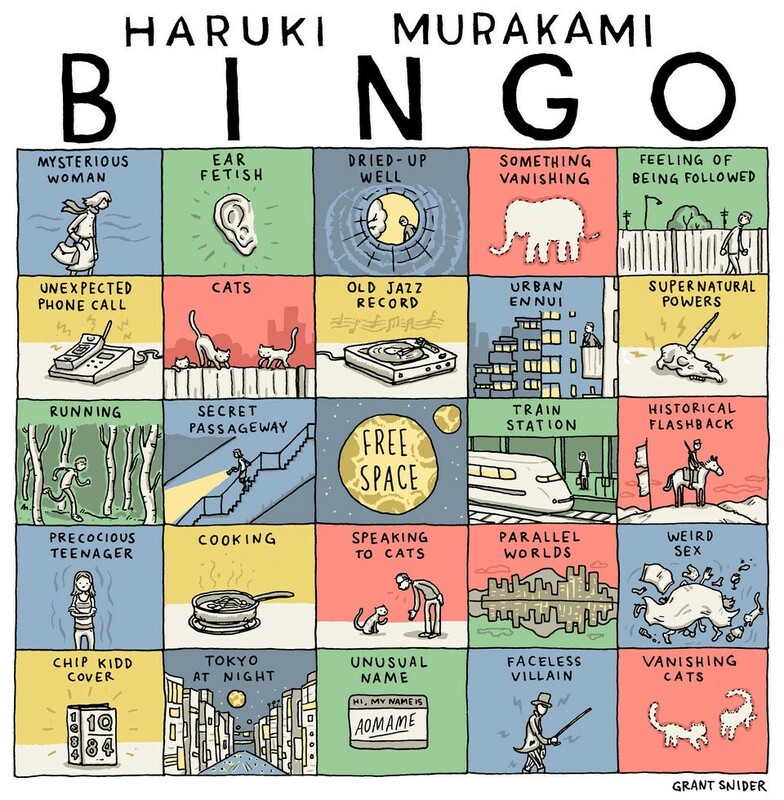 One could cheekily make a bingo card (some fans already have) of his recurring motifs, with things like talking cats, mysterious wells, urban malaise, jazz bands and audiophile stereo systems joining the more abstract ideas of alternate universes and parallax (an astronomical term for a perceived shift in position when viewing the same object from different angles). While each new book provides a fresh new system of imaginative plots and compelling new characters, they thematically share the same binding, composed and gelled by the same abstraction. 2011’s 1Q84 was the culmination of all these ideas, and it was an (ultimately under-edited) effort by the author to get it all on paper at the cost of however many necessary pages. In 2014, Colorless Tsukuru and His Years of Pilgrimage signaled a change: Murakami may have grown up a little, less enamored by the same themes with which he’d been wrestling for over twenty years. Colorless Tsukuru was a markedly more mature story, dealing not with the drifting lives of teenage and twenty-somethings as they navigate into adulthood but with adults trying to reconcile their drifting past. Curiously, Men Without Women doesn’t fully embrace the mature elements of Colorless Tsukuru but synthesizes them back with the repeatedly fine-tuned ideas of the Murakami of 1Q84 and earlier. This feels like a developmental regression (and also renders the excellent Colorless Tsukuru even more of an uncharacteristic blip) but it is an interesting new turn for the author’s familiar ideas. 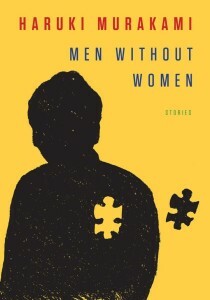 In Men Without Women, the different worlds that are so common in Murakami’s fiction are presented explicitly in a way that grants the protagonists a new perspective in their love life. Interviewing the man responsible for one’s own cuckoldry is this book’s alternate timeline, providing characters new ways to see themselves, how they love and how they let themselves be loved. This was Tokai’s personal opinion. It depends on the person, he said, about the lies they tell, what situation they tell them in, and how the lies are told. But at a certain point in their lives, all women tell lies, and they lie about important things, too, but they also don’t hesitate to lie about the most important things. And when they do, most women’s expressions and voices don’t change at all, since it’s not them lying, but this independent organ they’re equipped with that’s acting on it’s own. That’s why — except in a few special cases — they can still have a clear conscience and never lose sleep over anything they say. While this sort of sentiment is explicitly prefaced as being one character’s “personal opinion,” this casual misogyny is an unwelcome new trait for Murakami’s novels. Luckily, there’s a gem in this somewhat rough collection: “Kino” may appear to be a slight and relatively unassuming short story but it just might be Murakami’s masterpiece, the pitch-perfect sequencing of all his previous ideas. Grab a paint-roller for that bingo card because it’s all here: after walking in on his wife and friend “entwined” in the bedroom, Kino decides to open a jazz bar for wayward locals in search of a calm and thoughtful place to drink. The place is visited daily by a mysterious man who appears to have known Kino’s aunt; he’s a stoic presence but an oddly comforting one, exuding a sort of protective aura. A cat makes the requisite cameo, lurking around the bar like it’s his home, too. The story drifts beautifully into a tale about spirits, snakes and mourning the loss of a loved one. It’s a triumph, perfect quintessential Murakami. “Kino” feels as if all of Murakami’s past work has pointed towards its creation, as if 1Q84 apologetically turned itself inside-out and became its thoughtful, poetic opposite. Despite a handful of clunky stories in the collection like the misfired “An Independent Organ” and the juvenile “Samsa in Love” (in which, yawn, a creature wakes up one morning to find he’s been turned into Gregor Samsa), Men Without Women is wholly redeemed by the strength of “Kino.” This work alone makes the collection a worthwhile read and should not be skipped by fans or readers experiencing Murakami fatigue. I agree with what you say about Kino – it was the best story in the anthology. However, I am not sure if I caught what you call casual misogyny in the stories. Women are always there in each story, having affected the central character in a profound way. Thanks for your message. Interesting to hear you didn’t get a misogynist-vibe — maybe this is me overcomplicating my reading, but I just felt that nearly all the women in these stories were one-note cookie-cutter characters, developed more as simple ideas to affect the men in the stories than actual characters. I agree that women are always there, and consistently affect the men, but it seemed to me like that was their sole duty and they were interchangeable throughout the collection. Murakami can be so good with his characterization… take Norwegian Wood, for instance — Toru, Naoko and Midori are all vivid, fully realized characters and I felt like I got to know them throughout the novel and their romance. Of course, a short story limits one’s time to get to know a character, but I think all the women in this collection were there not to be fleshed out into a real-life renderings but more to vaguely, conceptually support the men as they learn about themselves. In this way, one could read Murakami as reducing the role of women to objects and conceptual support. And that, to me, was a bit troubling. Considering the maturity of Colorless Tsukuru and the hubbub about 1Q84 being Murakami’s first novel with a female protagonist, this just fell flat. I’m a big Murakami fan so it was all a bit disappointing.